1: WHAT DO I NEED IN ORDER TO FOLLOW THIS PROGRAM? 1.) A membership! Sign up and we will get you your starting information within 48 hours. 2.) 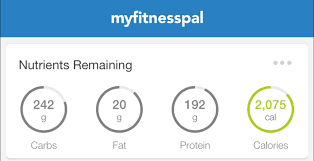 A smartphone to use MyFitnessPal and send me/post your daily screenshots. 3.) A food scale to weigh and measure your food as often as possible. 4.) A scale to weigh yourself each morning. *A Facebook profile is not a requirement but strongly recommended. Clients who participate on the page have, on average, a much higher success rate. The accountability and support of the community as well as the ability to ask for guidance from a group of people following the same program is invaluable. 2: WHY DO YOU NEED TO SEE MY DAILY SCREENSHOTS? On the Macroholics Nutrition Program you will be posting your daily macro and caloric screenshots to our private Facebook group every evening as soon as you are done logging your food for the day. The Macroholics coaches will then review them each morning. Primarily to hold you accountable. Posting your screenshots from two days ago helps nobody. Doing it daily helps keep you on track longer and more often. This is a cornerstone of the Macroholics Nutrition Program. To put it simply, if we are not personally reviewing your screenshots 24/7/365, you aren't on the Macroholics program. Equally important is the issue that life changes constantly! Maybe you're about to go on a vacation and need help getting more protein. Perhaps tomorrow is your sister's wedding and you want to drink some wine at dinner. We will help you plan your day around making that happen without sacrificing results. We need to see your daily screenshots because it is essential to your success! Even if you fall completely off course and eat an entire pizza by yourself, you need to log it and we need to see it. Quantifying our failures and looking them in the face not only gives us the necessary data to make your weekly adjustments, it helps us confront our weaknesses and learn how to do better moving forward! 3: WHERE, WHEN, HOW OFTEN, AND WHY DO I WEIGH IN? Where: At home, on the same scale, every time. Don't use different scales. They can vary significantly and give us inaccurate data. When: First thing in the morning! At this time of day, our weight is the most consistent. Be sure to log it into MyFitnessPal. How Often: Every single day. If you're traveling, you can just wait until you get home. Why: Despite what you may have heard, weight is still the best readily available tool to help us gauge our progress in gaining muscle and losing fat. That said, many factors effect our weight outside of changes in muscle and fat. Water weight, inflammation, the amount of food in our gut, and more all play a role. Other Considerations: Don't sweat a temporary swing up in weight despite hitting your targets. It's impossible to gain/lose multiple pounds of fat/muscle in a single day. Up to a 2% shift (4 pounds for a person weighing 200 pounds.) in body weight is completely normal. Shifts up and down in weight from one day to the next are normal and expected but daily weigh-ins, in the long run, give us a big enough set of data to track general trends from one week to the next. These trends tell us if our targets are working and how well they are working. From there, we can make accurate and effective adjustments to your daily targets to keep you on track, at the ideal pace. 4: DO I NEED TO WEIGH AND MEASURE MY FOOD? Yes. It is absolutely essential. With the exception of hitting your daily targets, your level of discipline in accurately weighing (scale) and measuring (cups and tablespoons) your serving sizes is probably the single greatest factor that will determine your success on the Macroholics program. Simply guessing and estimating as a your general approach doesn't work. If it goes in your mouth, weigh it, and log it in MyFitnessPal. Whenever possible, weigh your food in grams. It's the best method for accuracy. We completely understand that some things are going to be estimated and no, we don't ask that you bring your scale with you to your friend's dinner party. (Unless they are also Macroholics of course!) As your coaches, we will teach you how to navigate those situations with success. Hit your targets consistently, weigh and measure your food and your goals are all but guaranteed to become a reality! 5: I HAVE BEEN USING ALL OF MY CALORIES BUT I AM STILL HUNGRY AT THE END OF THE DAY. WHAT DO I DO? The first step is to determine if it's hunger or a craving. If we were to put a plate full of steamed broccoli and boiled chicken breast in front of you with no salt or seasonings, would you scarf it down? If the answer is, "No, that gross. I want some ice cream on a brownie and a meat lover's pizza!" Then you aren't hungry. You are having some cravings and being able to deal with this less than ideal feeling while losing body fat is a necessary part of the process. If the answer is, "Yes, give me that plate and get a second one ready!" then you're hungry and you have my permission as your nutrition coach to eat unlimited lean meat and vegetables above your caloric target. Just log all of it and include an explanation in your daily screenshot. Regular and overwhelming cravings/huger are most commonly the product of poor food choices resulting in dehydration and low or absent vitamin/mineral levels. Make sure you aren't getting most of your protein from shakes and/or your carbs from refined sources (sugar and white flour for example). Meats and vegetables are always best!Yes, it's possible to drop significant amounts of body fat while living off of protein shakes and alcoholic beverages but if you have constant hunger or cravings it's time to eat more meats, vegetables, nuts/seeds, and fruit to give your body what it is missing. To put it all in perspective, we have never had a client who hits their targets consistently by eating whole foods struggle significantly or consistently with hunger while losing weight. 6: HOW SHOULD I HAVE THE MYFITNESSPAL APP SET UP? 1.) Set the caloric and macronutrient targets we emailed to you in your settings. Make sure you go back and do this every Friday when we send you your weekly adjustments as well. Your caloric and macronutrient percentages can be adjusted by selecting "More" -> "Goals" -> "Calorie & Macronutrient Goals"
When you send me your week view calories/macros it helps me to see your past seven days. Having your full set of data allows me to give you the most accurate and appropriate adjusments to your targets. To do this, pen your app and select: More -> Settings -> Weekly Nutrition Settings -> Select "Week Starts Friday"
3.) Make sure your app isn't tracking your steps. Default settings vary but if your app is synced with a fitness watch or your iPhone/smartphone it will track your steps and adjust your caloric target. The targets we set for you already take your activity level, training, and lifestyle factors into account. To make sure it is off, open your app and select: More -> Steps -> Select "Don't track steps." 4.) Don't log your exercise in the app. Logging exercise in the app adds calories to your daily target. As explained above, the targets set for you already take that into account. Your targets are set based on the estimated caloric expenditure of the training described in your starting information and the actual exercise you send in your weekly adjustment report. From there, your targets are adjusted based on your calories, macros, and most importantly, your results. 7: WHAT, WHEN, AND HOW MUCH SHOULD I EAT? We say this with zero sarcasm: Eat whatever you want and whenever you want as long as it fits your targets. Obviously, this needs to be applied within reason. If you ate nothing but donuts and protein shakes to hit your targets, you probably wouldn't feel great and you'd probably feel hungry all the time. My point is, it's really easy to overthink this. Concepts like meal timing, supplementation, and small differences in food choices are infinitely less important than hitting your caloric and macronutrient targets with consistency. We understand that learning to do that in different situations can be challenging but don't worry, we are here to help! If you're having trouble with getting enough protein, finding good snacks, or anything else, we will help you address that issue in detail! The majority of the successful people on this program don't hesitate to ask for help! Where are you struggling? We will give you options to help you conquer the obstacles that life throws in your way! 8: DO YOU DO MEAL PLANS? Yes we do! We offer a sample meal plan that fits your customized targets at absolutely no additional charge. Don't like something on your meal plan? We will give you another option! Want to work something fun and yummy into your meal plan? We will help you fit it in! The idea is to fit this program into your life, not fit your life into this program. 9: DO I NEED TO PAY FOR THE PREMIUM VERSION OF MYFITNESSPAL? Short Answer: No. None of the additional features are required to follow the Macroholics system. Long Answer: There may be benefits for some users which are broken down below. 1.) No advertisements: Adds annoy you? Premium will get rid of them. 2.) Exclusive content: Literally never seen anyone use or refer to this content once but who knows. Could be some good stuff in there. 3.) Macronutrients by gram: Allows you to set goals by the gram. This doesn't apply to our program. We use percentages. 4.) Quick add macronutrients: Mildly convenient. You can just search "carbs 1g" and adjust the serving size to do the same thing with almost no trouble. 5.) Different goals by day: This doesn't apply to our program. If your targets need to be tweaked for a competition or event, we help you do that in detail anyway. 6.) Track Exercise Without It Affecting Your Calorie Target: If you want to keep all of your exercise tracking and food logs in one app, this could be a small bonus. Giving you immediate access to more info and a more better visual of where you're at for the day. You can see these same numbers with one click on the normal app so it is, at best, a minor convenience. 8.) Priority customer support: We've never needed this so we can't speak to the difference but it might be nice if your account got lost or stopped working for any reason. 9.) Data export: If you're a numbers geek, like me, you may enjoy looking at all of your data in a spreadsheet. 10.) Macros by meal: No specific use for this on our program but might help some plan out their day in more detail. For example, if you are working on getting more carbs before training to fuel a training session, this could help you accurately tweak your ideal approach. 11.) Calorie goals by meal: Same as above. 10: HOW MUCH WATER SHOULD I DRINK EACH DAY? 1.) Drinking a minimum of ____ ounces per day based on your body weight. 2.) If you're thirsty, you're already dehydrated. Are both generally recognized as false. For more information, see HERE. 11A: CAN I HAVE CHEAT DAYS ON THIS PROGRAM? One full reset day is not only allowed but suggested. Eat as much of whatever you want! You don't get a break from logging though. Track it! Then, let's get right back to A+ form. If you are a few hundred calories over here and there, you go over your max carbohydrate percentage once or twice a week, or go off course a little semi-regularly, this doesn't apply to you. The VAST majority of clients don't need help planning reset days. If this sounds like you, your focus needs to be learning how to consistently hit your targets. For the less common type-A personality client that hits all three of their targets over 97% of the time, reset days can be beneficial. We suggest they learn to be okay with something less than perfection. This helps them maintain long-term success while enjoying special occasions like Christmas, Thanksgiving, birthdays, and their anniversary without the feeling of failure or shame. As with everything, we require research to support our stance on cheat days. Check out this article and the linked studies. The best part about this program is it's flexibility so fitting the appropriate serving size of anything into your targets on occasion, while still hitting you targets, isn't out of the question. It's one of the main reasons we have an average weight loss of over 20 pounds per client! The real challenge of this program is consistency. 11B: WHAT'S THE DIFFERENCE BETWEEN A "RESET DAY" AND A "CHEAT DAY" ON THE MACROHOLICS PROGRAM? A RESET DAY is when you eat as much as you’d like for one day per calendar month and all other days in that month you get an A+ (hit all three of your daily targets). Technically, a CHEAT DAY is when you go over your calorie target (by a little or a lot) on any given day if there is one or more days in that calendar month that you did not hit all three of your daily targets. 12: IS THIS THE RIGHT PROGRAM FOR ME? This diet is guaranteed to work for everyone who applies it consistently and accurately. In my opinion, most need an effective diet that fits their lifestyle as seamlessly and realistically as possible. Most people need to find a way to fit a program into their life, not fit their life into a program. No food is off limits on this program. Here's a bombshell of truth: The right diet for you is the one you actually do! The real question becomes, "What can you do anywhere, always, and forever?". That doesn't mean you have to be perfect to make progress but we do believe this: If your methods are conditional, your progress is only temporary. If you can ONLY lose weight by following a pre-portioned meal plan that is prepared at home, but always gain weight when you go out to eat or find yourself in a social setting, how do you expect to lose weight and keep it off forever? Is your plan to just live in a bubble the rest of your life? Or do you think that you can only eat at home, for a few months, lose some weight, and then return to a "normal" life? That weight is going to come back. Your methods were conditional and relied on you cooking at home so your progress was only temporary. What makes this program a great fit for many is that this program has an incredibly flexible application. The guidelines for Macroholics are adaptable to your unique activity, lifestyle, and goals. Over 500 people that are vegetarians, athletes, night shift workers, stay at home moms, paleo eaters, marathon runners, keto eaters, sedentary office workers, grandmothers, and everything in between have seen great success on this program and lost over 14000 pounds in less than 1.5 years. You'll often see people discussing diets and hear something to the tune of "I tried _____ and it didn't work." The truth, more often than not is that they didn't follow the program long enough, consistently enough, or accurately enough. The diet in question usually works. Heck, pretty much all diets work! The real challenge at hand with any program is applying it. The mysticism that surrounds nutrition, dieting, and fat loss is tragically and all too commonly used as a tool to manipulate people into thinking they are just missing some silver bullet that will fix their problems. What most people aren't willing to face is that losing weight is really simple and really hard. The real challenge isn't finding the right program that works. The real challenge is applying whatever program you choose consistently and indefinitely. That's where we focus or efforts on Macroholics. As a team, we help hold you accountable on daily basis and address all of the hurdles that life will undoubtedly throw in your way, one at a time. 13: HOW DO I ACCURATELY TRACK A HOMEMADE RECIPE? 14: HOW DO I LOG SOMETHING IN MYFITNESSPAL WHEN ESTIMATING? To put it simply, if you aren't sure, estimate high. If you find yourself in a situation where you can't weigh your food, we want you to be able to honestly tell yourself, "What I entered is almost certainly more than what I actually ate." 1.) Find three items in the database that match the description of what you are eating. 2.) Put them in order from most calories to least calories and select the one in the middle. 3.) Increase the serving size by 25% by multiplying your serving size times 1.25. Let's give you an example. Say you're on vacation and after visiting a museum your family decides to go to a small family owned deli and you order a Philly cheesesteak sandwich. Obviously they don't have nutrition information available so you're going to need to estimate. Step 1: Search for a philly cheesesteak and find the three options matching your description. Step 2: We can easily identify that the three options matching our description are 460 calories, 820 calories, and 690 calories making the Domino's option the one in the middle. Obviously it can get more complicated than this and you're going to need to use your own discretion or post a picture of the meal to our private Facebook page so we can help you estimate! Estimating often or too low can easily ruin your results. Use some reasonable discretion here. If it looks like a really big serving size, it probably is. If you're accurately and honestly tracking, you aren't going to find yourself saying, "I can't believe how few calories that is!" very often. If what you're eating looks really similar to something you've had at a major chain restaurant, you can enter that and increase the serving size by 25%. Eat a reasonable serving size of whatever you choose and make it work within your targets. We attribute a lot of our personal success to doing this well. It is why we have alway been able to maintain or lose weight while on vacation. When other people would just log 1 cup of mixed vegetables while eating out, you need to be the type of client who would also log 1 tbsp of butter because you can tell that those veggies were sauteed in butter. 15: WHEN WEIGHING MEAT, DO I WEIGH IT RAW OR COOKED? Short answer: Meat should be weighed raw. Long answer: This can get a little bit complicated. It depends but generally speaking, meat should be weighed raw. 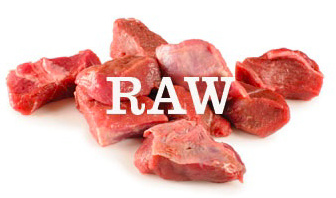 If you're weighing COOKED meat but logging it using RAW nutritional information, you are underestimating the caloric content of your meat. To be accurate, you need to weigh the product how it comes. The nutritional information provided is based on the condition in which the product is sold, unless stated otherwise. Example #1: If you buy a pound of ground beef and the serving size reads "4 oz", then it needs to be weighed raw for accuracy. Example #2: If you buy bacon but the serving size reads "2 pan fried slices" then you simply need to log these in MyFitnessPal by the COOKED slice. If you choose to use the bacon grease in the pan, that grease would need to be logged as it will be additional calories. Example #3: If you eat meat that doesn't have nutritional information available, you simply need to use the 1.25 estimation method described above. 1.) In general, beef, poultry and fish shrink about 25 percent when cooked. For example, 4-ounce skinless, boneless chicken breast will yield approximately 3 ounces of cooked meat. Weigh the meat cooked and then multiply that number by 1.25 to get the number you should log. 2.) You can add "cooked" to your search. For example, "90/10 ground beef cooked" and you will get some estimates on the nutritional content by weight. Use discretion here and estimate high when in doubt. 16: HOW DO I MAKE VISIBLE IMPROVEMENTS WHILE MAINTAINING MY WEIGHT? The mission statement of the Macroholics program is, "Our primary purpose is to help you achieve and maintain a healthy, lean, physique." To start, the vast majority of our clients are focused on fat loss. Once they have obtained a healthy weight for their age, gender and height, we switch to "maintain weight/improve body composition" targets. These clients have achieved a healthy and sustainable balance. Despite that, they often ask, "What now?" and decide that they want even more for themselves. There's a saying that goes, "the road from good to great, is the steepest climb". If you want to move forward from "healthy lean physique" towards "six pack/shredded/ripped" it's going to take relentless longterm consistency and nailing your targets, and a TON of high quality training. 1.) Accurately nailing your targets ALL year long. 2.) A high level of quality training for weeks, months and even years. People don't become something special unless they exhibit longterm exceptional behavior. These photos are 9 months apart and less than a 5 pound difference. Kristin had no cheat days during this time period. She is a full time working mother of 2, in her late 30's. She weighs and measures all of her food. She trains longer, harder and more consistently than just about anyone. This is the level of commitment it takes to go from good to great. The visible and physical changes while maintaining are very slow and steady but in my opinion, this is where the real magic happens. David weighs 184 in both of these pictures that are just over 1.5 years apart. The left was October of 2015 and the right was April of 2017. He improved literally every aspect of my fitness in that time. Literally every single lift has gone up, his conditioning has improved in every aspect, and he is significantly more skilled in his sport. Training 4 hours a day, 6 days a week for months, looking at progress pictures and seeing little or no difference, stepping on the scale and seeing no difference can be discouraging if you lose sight of the big picture. Heres a simple truth that can be difficult to hear, "If you want something you've never had, you're going to have to do things you've never done." For most athletes, maintaining your weight and refining your craft is where the real magic happens. We are not using ourselves as examples to toot our own horns, but rather to show you what's possible. We understand where you are, and where you want to go. Maintaining your weight can be mentally tough. Especially coming from a world where every week you could feel your body changing while focusing of gaining muscle or losing fat. You can see it in the mirror. You can see it in your training. A lot of people can drop weight and improve their gymnastics/body weight movement. A lot of people can eat at a surplus and get stronger. Both are noble pursuits that we are not discrediting. That's said, very few can grind relentlessly on everything with balance. Nutrition, sleep, recovery, conditioning, strength, and skills. All very, very, slowly improving to make the most complete athlete possible that is always in a "ready state". Most will get ADD and abandon the cause to pursue more short sighted goals like getting their clean to go up or getting that strict muscle-up while other things suffer. Trying to get stronger and more fit at the same time is a different game that only the patient and persistent can play. 17: WHY DID MY CALORIC TARGET INCREASE!? I WANT TO KEEP LOSING WEIGHT FAST! For those focusing on decreasing body fat, our goal on this program is for you to lose between 0.5%-1% of your total body weight per week. We take into account all of your lifestyle factors when we adjust targets but generally speaking if you had a normal week, hit your targets consistently, and you lost less than 0.5% of your total body weight or less, we are going to decrease your caloric target. If you were above 1%, we are going to increase your caloric target. At the end of the day, we don't think you want to lose weight fast. We think you want to get really lean (low body fat percentage) and stay really lean forever. Right? If you just want to fit into a dress 3 weeks from now or if you don't care about your health, wellness, or performance and you just want to lose some pounds fast, you're on the wrong program. Many will spend their entire lives gaining 10 pounds, losing 7 pounds really fast, gaining another 10 pounds, losing 7 pounds really fast, and repeating these cycles for years and years then still wonder how they ever got to be 300 pounds when they were so skinny in high school. Diets don't work. Sustainability is absolutely crucial. If you can't do your program forever, the results won't last forever. Period. We want you to lose body fat and we want you to lose it forever. We have bigger goals for our clients than to just take pounds off of them quickly that they are highly likely to regain. Permanent results have to happen gradually. You probably came to me because what you are doing isn't working as well as you'd like. You probably came to me because you have lost weight and gained it back in the past. Stop wasting time looking for silver bullets! Stop thinking you can maintain these extreme and restrictive lifestyles. If you can learn one thing from this program we want it to be this: There are no shortcuts in life that lead anywhere worth going. 18: I'M EXPERIENCING SOME CONSTIPATION SINCE STARTING THIS PROGRAM. WHAT DO I DO? With increased protein intake, and reduced carbohydrate intake, some clients will experience constipation as a side effect of their shift in diet. This is typically a result of unintentionally getting less fiber. 1: To start, increase your intake of fruits and vegetables to get your regular fiber intake at or above 38 grams per day. Keep in mind that our needs will vary based on our unique situation. Regular intake of even more fiber might be necessary for some to promote regular and healthy bowel function. If you’re averaging above 38 grams a day from whole foods for 2+ weeks and not seeing improvement, let me know and we will adjust your targets accordingly. *Note: Keep in mind that getting this fiber from processed foods with added fiber doesn’t necessarily have the same benefits that come from naturally occurring fiber in whole foods. 2: For clients who are generally healthy and feeling good we recommend you simply drink water/fluids when you’re thirsty. For those struggling with constipation, we suggest you get an ounce of water per pound of body weight and eliminate alcohol consumption which can cause/contribute to dehydration. For example, if you weigh 188 pounds, you’d want to get 188 ounces of water per day until symptoms improve. 3: Short term assistance from a fiber supplement or stool softener may provide some more instant relief. We suggest not using this as a permanent crutch to mask the symptoms of high levels of refined carbohydrate intake. 19: HOW DOES ALCOHOL WORK ON THE MARCOHOLICS PROGRAM? HOW DO I LOG IT? To log alcohol correctly, take the total number of calories and divide by 4. Log that many grams of carbs. There are actually four macronutrients. Alcohol is it’s own macronutrient! Some sources of alcohol, like beer also contain small but significant amounts of carbohydrates. Like all things, enjoy alcoholic beverages in moderation (within your targets) and you’ll probably be fine. While the consumption of alcohol doesn't inherently make or break you in your pursuit of excellence, it certainly won’t help you. If you're looking to be the best you can possibly be, removing alcohol from your lifestyle is probably the safest bet. 20: I HAVE A COMPETITION/RACE/MEET COMING UP. SHOULD I MAKE ANY ADJUSTMENTS TO MY TARGETS? 1.) If you are on fat loss or increase muscle mass macros, switch to performance macros the day before and day(s) of your event: 40% carb, 35% fat, 25% protein. 2.) You shouldn't be in a caloric deficit if the short term goal of performing your best takes precedence over your long term fat loss goals. To start, we want to increase your calories by about 10%. 3.) From there, we will add even more calories if this event has a higher energy demand than a typical day of training. This will vary significantly depending on the individual but for every 10 minutes of activity above your typical training volume, we will add 100 calories to your caloric target. Example: Let's say your normal calorie target is 2000. To start we would increase your target by 10%. 2000 x 0.1 = 2200 calories. Let's assume this athlete typically does one metcon and a lift on a training day. If the competition has 3 events on that day, their target would go up to 2300. If the competition has 4 events, the target would be 2400. If you have an event coming up, please let me know if you have any questions or need any guidance at all here. 21: DO I NEED TO BE TAKING ANY SUPPLEMENTS TO ACHIEVE AND MAINTAIN A LEAN, HEALTHY PHYSIQUE FOR LIFE? 22: CAN I HAVE ARTIFICAL SWEETNERS AND WILL THEY EFFECT MY RESULTS? Yes! You can enjoy artificial sweeteners shamelessly as a part of this program. No, we have not been able to show any link or causation of diminished results and artificial sweetener consumption while helping over 600 clients from all over the world lose an average of 14 pounds. If you’d like a lesson on understanding statistics, studies, and why this our stance, please read THIS BLOG. 23: SHOULD I LOG THE SUPPLEMENTS I TAKE LIKE FISH OIL AND MULTIVITAMINS? If they have calories, you should be logging them! 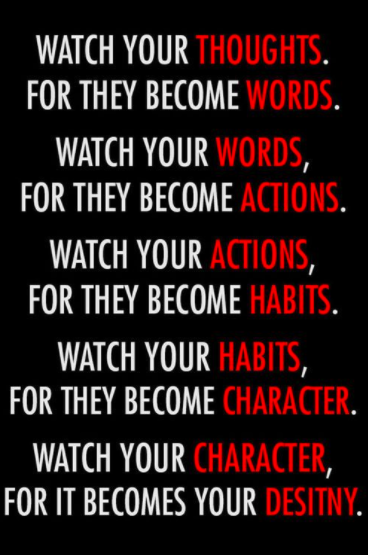 These can add up to significant amount in certain situations. A daily gummy multivitamin (20 calories), a probiotic shot (45 calories), and a tablespoon of fish oil (130 calories) could stack on over 1300 calories a week. That doesn't mean you should stop taking something if you believe in a product you're taking. If you've been taking something for a long time already without logging it, just let me know and we will bump up your caloric target to accommodate for it and you can start logging it when you take it! Try not to freak out or stop taking something you like because you don't want your product to eat into your calories. If a few calories are enough to make you want to remove it from your daily routine, it's likely not worth taking anyway. 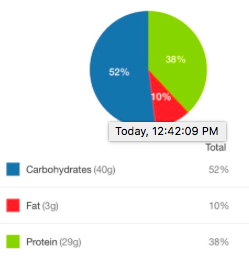 24: ON MYFITNESSPAL, MY NUTRIENTS SCREEN SAY I HAVE SOME GRAMS OF CARBS LEFT BUT MY PIE CHART SAYS I'M OVER! WHAT GIVES? Everything you eat will cause your percentages to shift a little or a lot depending on what you choose. Developing an awareness of what causes each macronutrient percentage to go up or down just takes a little practice! Enter what you plan to eat and take notes on what happens to your percentages when you make certain food choices! You'll get it down in no time. 25: IF I HAVE LEFTOVER CALORIES FROM ONE DAY, CAN I USE THEM LATER IN THE WEEK? Long Answer: Our official suggestion is that you follow this program and shoot for your targets one day at a time. In our opinion, weekly caloric allowances for people that need help with their nutrition because they have struggled with it in the past is the equivalent of giving a middle schooler a credit card. It just doesn't end up well most of the time. Ultimately, your adjustments to your targets will be based on your weekly caloric average and the result of that average. In theory, you could be under 500 calories on Monday, over 500 calories on Tuesday, and essentially get the same result at the end of the week. But this approach would have to go both ways. If you ate "too much" earlier in the week, you'd be expected to "make up for it" by eating less later in the week. This game of feast and famine just doesn't end well for the vast majority of it's practitioners. Especially those who have struggled to develop a healthy and consistent relationship with food. If you choose to go out with your friends, have a few drinks, and afterwards grab a 2:00 am cheeseburger and a milkshake with your friends, We don't want you to starve yourself the next day or two, to "fix it". We want you to log it honestly, forgive yourself, and focus on getting it right today! A balance between being honest with yourself and kind to yourself is essential to your life-long success. 26: WHY CAN'T I SAY I'M STARVING? Difficult conversations are a necessary part of real and lasting behavioral change. You can't say you're "starving" because you aren't. You're eating at a conservative caloric deficit for a short amount of time. If you lose more than 1% of your total body weight, we account for that weekly by significantly increasing your caloric target. On top of that, it's insulting to the hundreds of millions that are actually starving. 1 of 9 human beings on the planet are currently suffering from chronic undernourishment right now. Keeping a firm perspective of the reality of how easy we actually have it is a very powerful tool. "I am simply having cravings or I am hungry. I am no where near starving. I have committed to eating less for my own health, wellness, and future. I am thankful that my challenge to be healthy is to eat less instead of wondering when/if my next meal will come." 27: I'VE COMPLETELY FALLEN OFF OF THE WAGON AND I DON'T KNOW WHAT TO DO. CAN I START OVER? Sometimes you need a fresh start, clean slate, a mulligan. As your coaches, we are trying to point you in the right direction to get you to an intended destination (achieving your goals). It's very similar to giving someone driving directions over the phone. It requires good awareness and communication. You are on the phone trying to give somebody directions to your house. Intentionally or unintentionally they are taking turns without telling you. When you ask if they have come to the 4 way stop that turns to your house, they say "no, not yet." You think..."that's odd." So, you tell them to just keep going while you look out your window waiting for them to pull around the corner. Let's say they turn over a new leaf without telling you and decide to follow your instructions intently and accurately. In some sense, it's too late. We have a fundamental misunderstanding of where you are. It's impossible to give someone good directions if you don't know their current location. If they ever want to get to their intended destination, obviously, something has to change. Honesty, accuracy and communication between client and coach is absolutely essential. You simply won't achieve your goals without it. We have a feeling some people on this program have taken some turns without telling me. Some on accident, by underestimating a lot of their food. Others, on purpose, because of an inherent cultural shame that they are anything less than perfect. Sometimes it can be incredibly challenging to honestly face the reality of our decisions. It can be even harder in a group, or with an authority figure/coach. A.) Your targets have changed multiple times based on reported numbers that weren't quite accurate for ANY reason. B.) You simply want a clean slate with new starting information. We won't ask you why. We won't pressure you. We will just set some new targets, and start over. Nobody will ever know. Moving forward, just tell me when you take a turn, even if it's in a text message because you aren't ready to post your shortcomings publicly. We promise not to judge you, or condemn you. We simply want to be able to give you the right directions to where you said you wanted to go. This isn't a one time offer. If you ever feel this way, just send the email. We don't need an explanation and we don't need to have to have the intervention heart to heart awkward conversation unless you want to. To start, make sure you're getting plenty of sleep. If it's a priority for you, waking up without an alarm clock, and letting your body decide when it's done resting, on most days, would likely help. For most, setting an alarm for when it's time to be ready for bed usually helps. Give youself an hour to finish the day and be in bed, lights out, with zero distractions like TV, your smartphone, etc. Now take a look at the ratio of sodium and potassium. To minimize bloating, your potassium should be at or above 100% and sodium should not be significantly higher than 100% of your recommended daily amount. 29: WHAT COUNTS AS A "DAYS TRAINED" OR EXERCISE IN MY ADJUSTMENTS POST? For the third question in your adjustments post we ask you to tell us the total days you trained this week. If you’re doing activity for the sake of activity/exercise on any given day, it counts as a day of training. Examples include: doing cardio at the gym, lifting weights, or even just a 10 minute walk! Any activity that takes place (consistently or not) as part of your life that isn’t for the sake of activity/exercise. Painting your house, being on your feet all day at work, etc. Things like this should be included in the additional notes of your adjustment post below your four answers. The factors weighed most heavily in providing an adjustment to your target are your average caloric intake and the effect that intake had on your weight. The days trained is just designed for us to be able to identify potential shifts in your activity levels. Once we know what’s typical, we can have more insight on why you may have/have not seen certain levels of progress. It’s also a tool for us to plan ahead to account more additional/reduced training in the weeks to come. 30: THE SCALE ISN'T MOVING RECENTLY! WHAT AM I DOING WRONG? But in the long term, significant changes in body weight come from changes in your body composition (losing fat and/or gaining muscle). Your weight is often going to look like an EKG reading most weeks. Up and down, up and down. But if you saw a new low, you’re doing great! In the long term, your weight will look like a gradual downward slope. If you haven’t seen a new low, here’s a checklist of things to a look at! 1: Have you hit all three of your targets everyday this week? 2: Are you weighing all of your food as often as possible? 3: Are you using the 1.25 method described in #14 of our FAQ when you can’t weigh your food? If the answer is a resounding, “Yes!” to all three questions, move on to question 4. -I’m starting/on my menstrual cycle this week. -I started a new medication/supplement (creatine for example) this week. -I significantly increased/decreased my activity level/exercise/training this week. -I haven’t slept like I normally do this week. If any of those apply to you, then it’s possible that it is the direct/indirect reason that this was a stagnant week for you. If none of the above explains your week, then it’s time for an accuracy review! You can find instructions on how to do one on our resources page! 31: I'M FEELING SO FULL AND I STILL HAVE CALORIES LEFT. DO I HAVE TO EAT ALL OF MY CALORIES? Our recommendation is to be within 100 calories of their daily target without going over. That said, there’s no need to force feed yourself or anything if you feel full and satisfied. We generally like to see our clients hit the 1200 calorie a day minimum for female clients and 1500 calorie a day minimum for male clients respectively. 1: For some, eating more food earlier in the day can help you get closer to your caloric target. 2: Protein has the largest impact on our hormones related to satiety. Often, this challenge is just temporary and mostly a result of being new to the program and your body adjusting to the increased protein intake. 3: Increasing the percentage of your calories from fat can help reduce your overall food volume and help make it easier for some clients to get close to their calorie target. 32: WHAT DO YOU GET WITH A MACROHOLICS MEMBERSHIP? 33: IS IT OKAY IF I SKIP BREAKFAST OR EAT ALL OF MY CALORIES CLOSE TO BEDTIME? Yes! We encourage you to apply this program in whatever way allows you to hit your daily targets with consistency. A+ days where you hit all three of your daily targets are what will make or break you in the long run. Statements like, “Breakfast is the most important meal of the day!” or “If you eat close to bedtime, it gets turned straight into fat!” aren’t backed by science. Their prevalence and resilience is the result of misinterpreted studies (association vs causation) and bias perspectives. If you eat more of your daily calories than you normally do close to bedtime, you’ll likely weigh more in the morning but not because you’ve gained body fat. Most of that is likely just because there is more food in your digestive tract. Yes, if you skip breakfast, you might intuitively eat lunch that’s “too big” and full of calorie dense foods that you normally wouldn’t eat. But just keep in mind these statements, and statements similar to them are by no means universal in their application and can even be detrimental for some. Finding the right approach that facilitates the best energy balance to attain YOUR goals based on YOUR unique lifestyle takes consistency and accuracy. We’re here to do everything conceivable in helping you achieve that! 34. I'M ABOUT TO GO ON VACATION! HOW DO I MAKE THIS PROGRAM WORK?